A fast, responsive drive, and it's great value too. Although the retail price is close to £150, we found reputable etailers stocking this 100GB, 2.5-inch USB 2.0 drive for just over the hundred-clam mark. Now, we know that storage prices are dropping hugely at the moment, but a quid a gig is incredible considering 4GB USB drives are still hovering around £80. The OneTouch III Mini is not only affordable though: the performance is also impressive. We put it up against an equivalent 5,400RPM drive with a USB 2.0 connection and in transfer tests it worked out at over 15% faster. It's also delightfully diminutive as well, taking up less space in the back pocket than a well-thumbed paperback (though it's less comfortable to sit on). The pre-installed backup software gives you a wealth of options allowing you to choose exactly what you want backed up on the OneTouch and when you want it to do it. 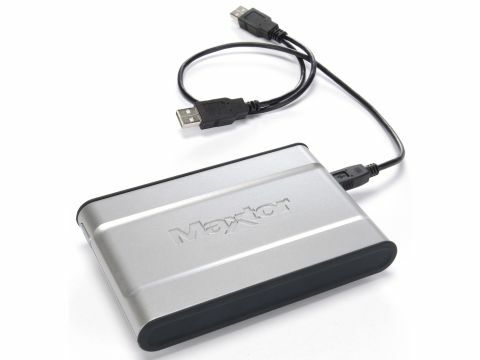 As a portable, secure storage drive this offering is hard to beat.